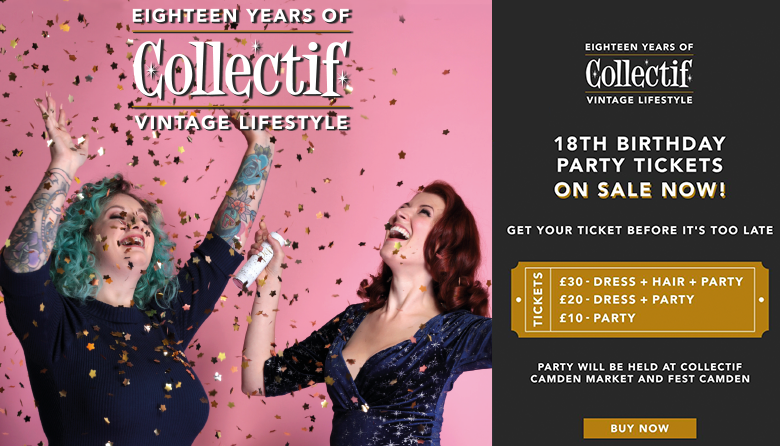 Collectif are celebrating their 18th Birthday and want you to join them for a day of live music, drinks and more! First starting their journey in 2000 as a market stall in Camden Market, they've grown into two standalone shops in Camden and Brighton. Today, they design & produce all their own clothing, which is now separated in to two lines: Collectif Vintage, inspired by the classic styles of 1940’s and 50’s and Collectif Mainline, maintaining their roots in pin-up and alternative culture. Afternoon & evening acts confirmed include: The D-Day Darlings, The Tootsie Rollers, Danny McVey Trio, Lolo Brow, and many more!